The new lineup of Speed and Strength Helmets has just been released and is now available for pre-order. 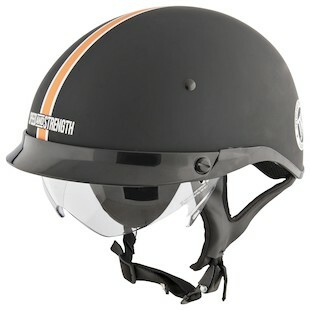 The Speed and Strength SS500 Tough as Nails helmet provides a minimum coverage feel and no nonsense look. Features include an advanced fiberglass composite shell, eps liner, drop visor design and removeable shorty liner. It meets or exceeds DOT standards. The Speed and Strength SS500 Motolisa women's helmet has a distinctly feminine feel yet has tough features in its advanced fiberglass composite shell. The DVD (drop visor design) has a removable 3-snap shorty visor included. 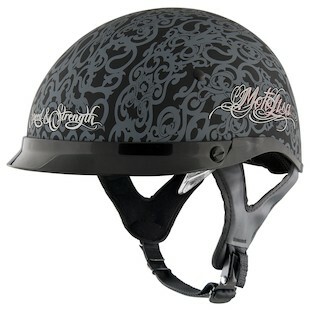 This helmet meets or exceeds DOT standards. Don't miss the rest of the Speed and Strength helmet and apparel lineup and stay tuned for detailed video reviews on all of these as soon as we get our hands on them.